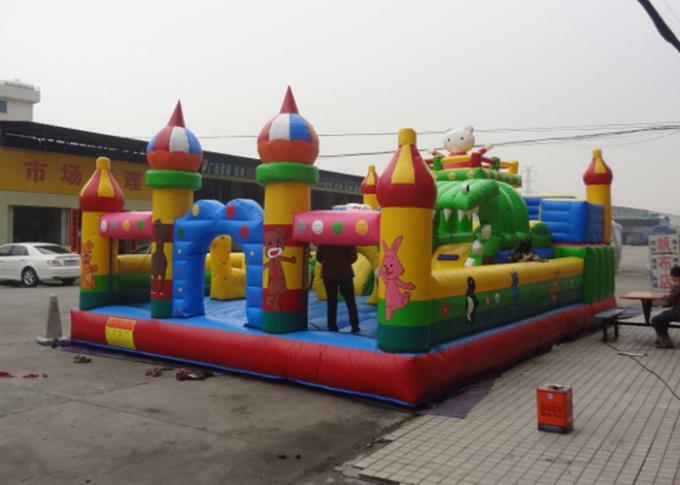 Material: 650gsm/0.55mm thickness heavy-duty, laminated and coated pvc fabric. Our materials are puncture-proof, fire-resistant and comply with SGS& ASTM (American Society for Testing and Materials) toy safety standards. 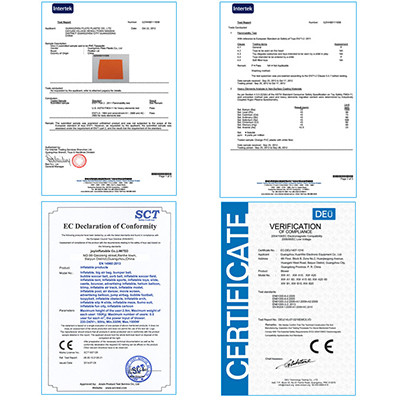 All Our Products comply withEN71,EN14960,ASTM. Package: We spread air out to help deflation before roll the game, then put a band belt outside to tie it. We will use tarpaulin bag which is same material as the games to package the units. So the packages will not be frazzled during delivery process. For big units, we will make extra handle band outside of the packages. The name given to such structures varies. 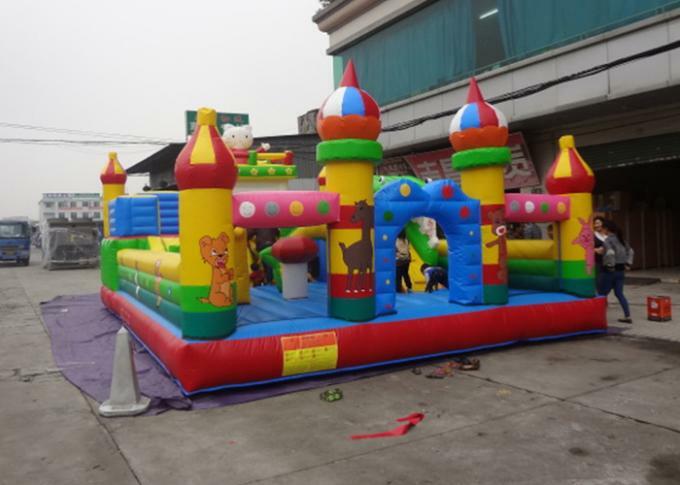 They have been marketed with such names as "inflatable playground", "Bounce House", "Moon Bounce","Astrojump","Moonwalk","Jolly Jump" and "Spacewalk". The term "Bounce House" came to popularity with the resurgence of hipster culture in New England. "Brinca brinca" is another name commonly used by Latinos, which literally means "jump jump".The term "Jolly Jumps" is often used to describe the inflatable playground structure in rural areas and some areas in the Western US, but the term is otherwise obsolete. In SouthernCalifornia, another popular term is "Closed Inflatable Trampolines", or "CITs". 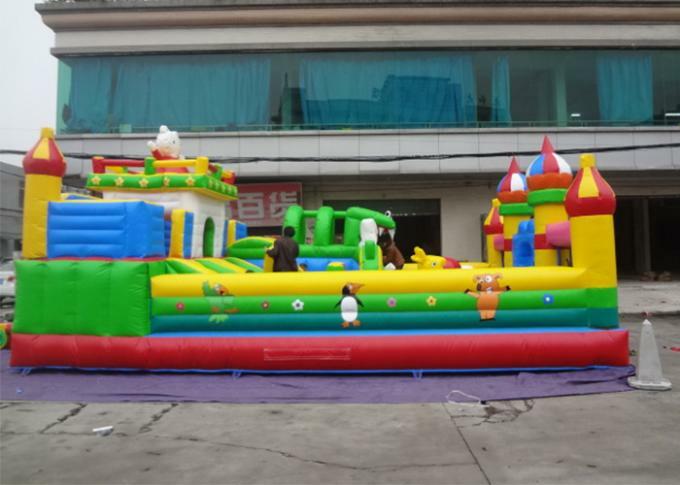 "Bouncy Castle" or "Inflatable Castle" are used in Ireland, the UK,New Zealand and parts of Australia, and "Jumping Castles" in Australia, Canada, South Africaand Arizona in the United States. and market are also taken into consideration when they are designed and manufactured.